Hire of marquees and gazebos for events including garden parties weddings and festivals. If you are looking at marquee hire for a private party event or corporate, you are in the right place. 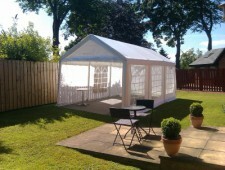 We, at Mcghees Marquees Glasgow offer an extensive range of services to our clients. Whether it is a garden party or a corporate marquee. come to us for your event. We have been serving several private and public sector clients over the years. Known for our friendly services, commitment and availability, we have set up our own benchmark in the industry. We operate all over Scotland, so if you need marquee hire then simply give us a call. 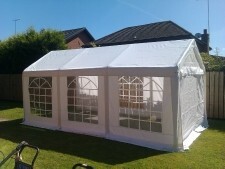 We can provide cheap marquees at prices compatible to your pockets. At the end of the day, we would love to see you satisfied. Every organizer looks out for a reliable partner to streamline the event. Count on us for assured satisfaction. Irrespective of the nature of marquees, we assist the client with the required support and accessories. 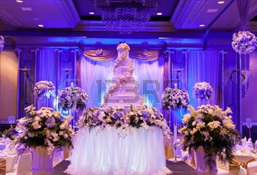 You may request for customized wedding marquee, small garden marquee, private event marquee or any other social event. We have been heavily investing on the accessories to leverage the grades of our services. Welcome to McGhees Marquees. 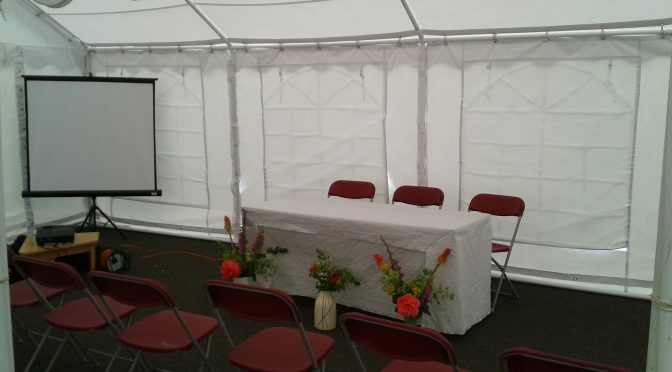 We specialise in small and large marquee hire, as well as table and chair hire for an extensive range of events. While we are based in Glasgow, we offer party and wedding marquee hire throughout Scotland, including in the Glasgow and Edinburgh areas. So, if you need to hire a marquee for your wedding, corporate event or private garden party, come to us to add a cultured flavour to the event. Over the years, we have been proud to serve a great many private and public sector clients. We are known for our friendly services, commitment and availability and feel that we have set up our own benchmark in the industry. Our marquee hire prices are made to match your budgets; at the end of the day, we just want our clients to be satisfied. We understand how important it is that your event runs smoothly, so we prioritise customer satisfaction and reliability above all else. 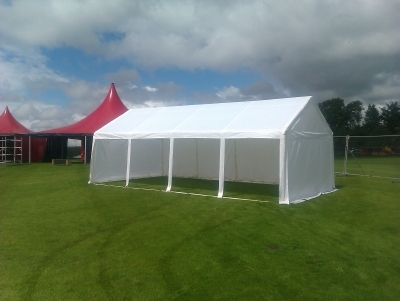 We provide support on marquee logistics and setup, as well as range of customised options for your marquee. We also supply arange of accessories to make your event stand out that bit more, as well as table and chair hire for inside your marquee. For marquee hire prices, including customisation and accessories, just get in touch. We would be happy to help and consult on sizes, styles and logistics. At McGhees Marquees, our ultimate goal is to ensure that you enjoy a memorable occasion, so weoffer a range of adjustments to our marquee and accessory offerings to help deliver the right ambience to your event. You may need a marquee tent, tables, chairs, flooring accessories, lights and heating. All these are available under a single platform at reasonable prices. Come to us for marquee hire; we are a small team of experts who love what they do and are passionate about delivering a superb level of service to all our clients. Apart from accessories, we also provide temporary storage. If you are concerned about planning in any way, speak to us and we can give you professional advice that we have built up after providing our marquees and accessories to hundreds of events. We help by assessing the event size, location, style and budget, suggesting accessories that are both affordable and a good fit in the process. If you want to hire a marquee for a festive evening or a big one for a wedding event, we are here to re-define your experience. Give us a call and find out how we can help you shape your special day.